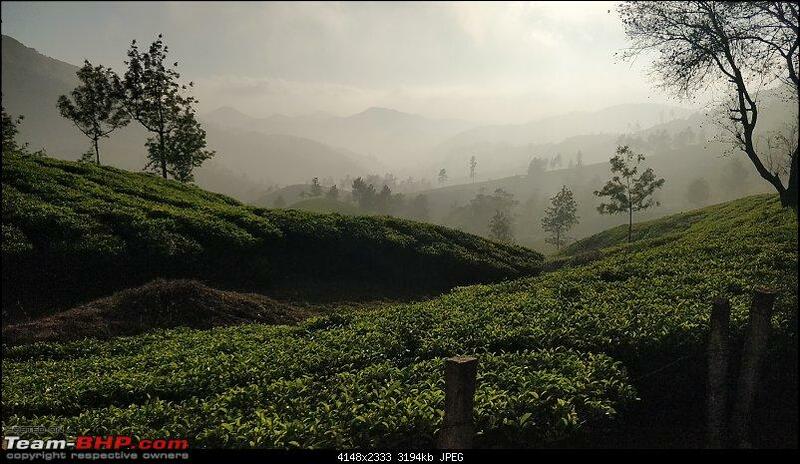 This is a short write up on a trip I did on Jan 1, 2019 from Aluva to Marayoor. Initial plan till late evening of Dec 31 was to do a day trip to Valparai taking the 6:30 am bus from Chalakudy bus stand. But reaching Chalakudy bus stand at 6:30 am from Aluva was a bit of a challenge and if by any chance I miss the bus the next bus is not before post noon. 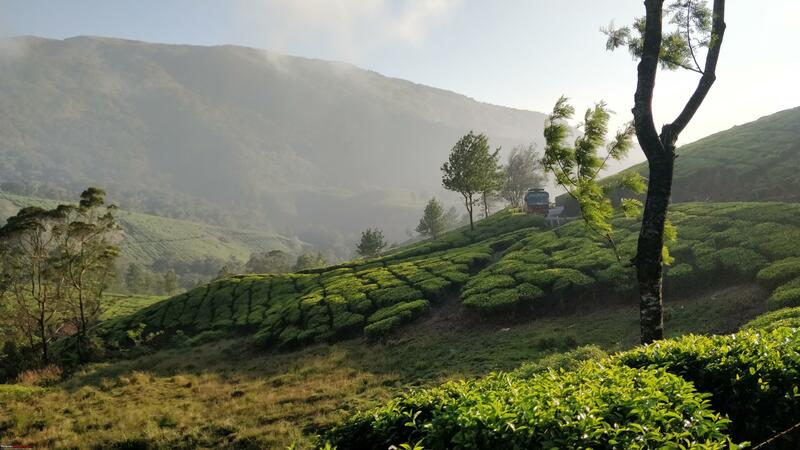 Also I had driven to Valaparai on my previous trip in May 2017 so that helped me in dropping it. Then I decided to check if there are any interesting morning bus routes from Aluva. I checked the website Aanavandi.com which showed an Aluva to Kanthaloor KSRTC bus via Marayoor. 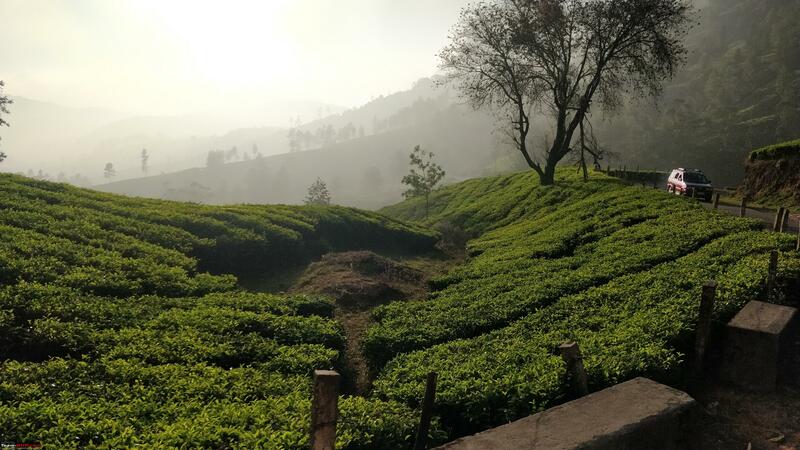 I didn't know of either of the places so started searching the internet from where I came to know of the historic and geographic importance of Marayoor. 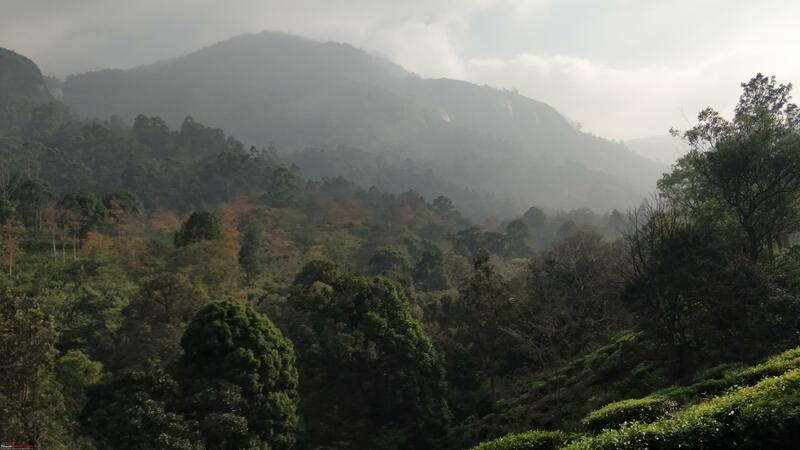 Marayoor is the only place in Kerala which had natural Sandalwood forests as it lies in the rain shadow region making it ideal for sandalwood trees. 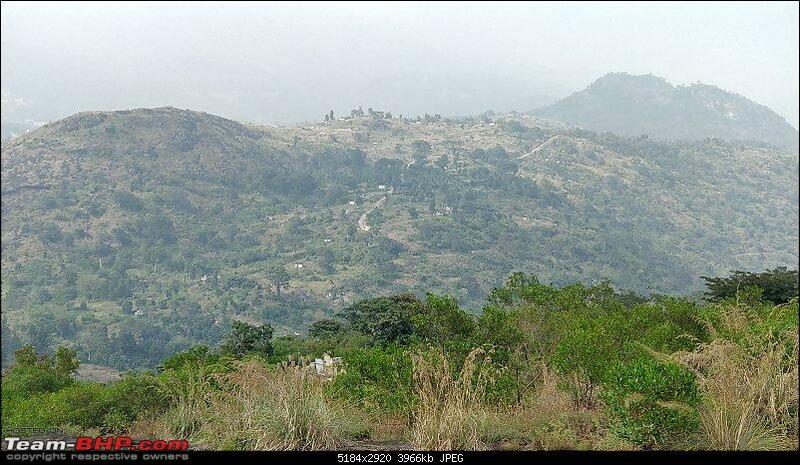 It is hidden by mountains on all sides from which has derived the name 'Marayoor'. 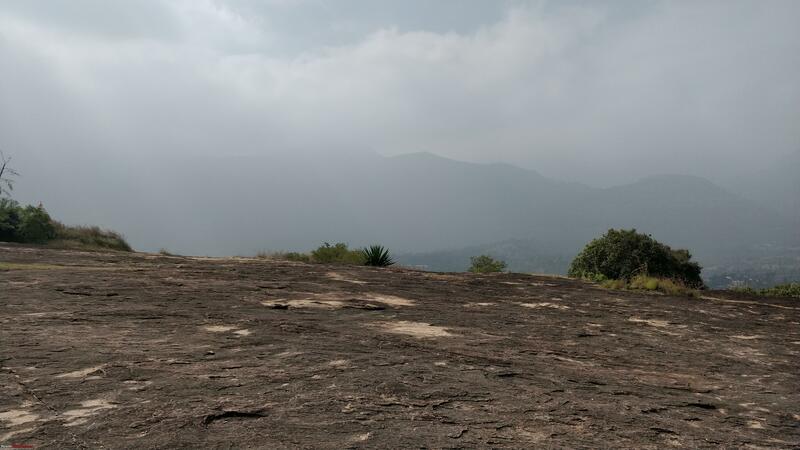 This place is also famous for Marayoor jaggery considered the sweetest jaggery available in India. It is due to the type of sugarcane that gets cultivated here by the local inhabitants. 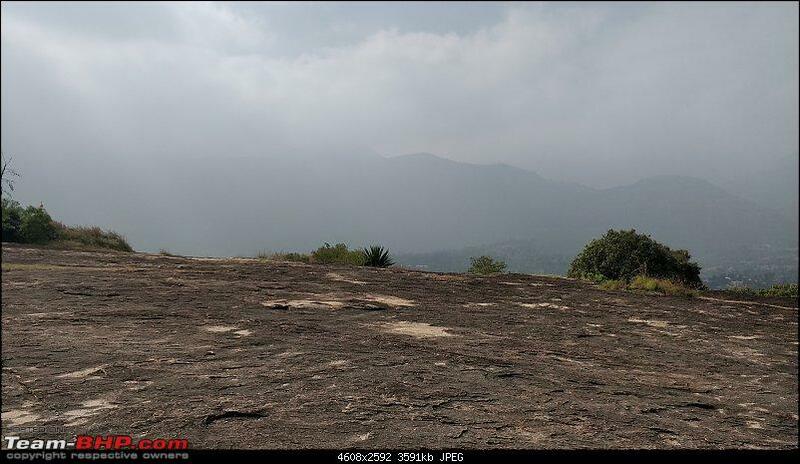 Historically Marayoor goes back to the stone age and we can also find monolithic dolmens called muniyaras from the iron age around Marayoor. 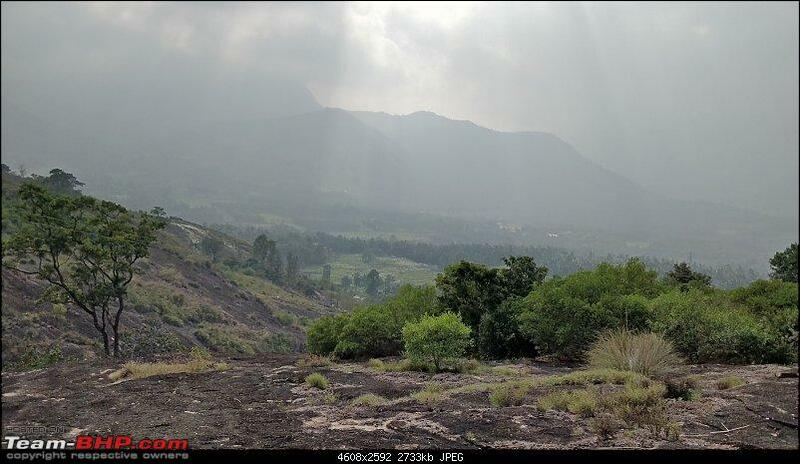 In the 18th century people from Tamil Nadu migrated to form the 5 villages called 'Anju Nadu'. 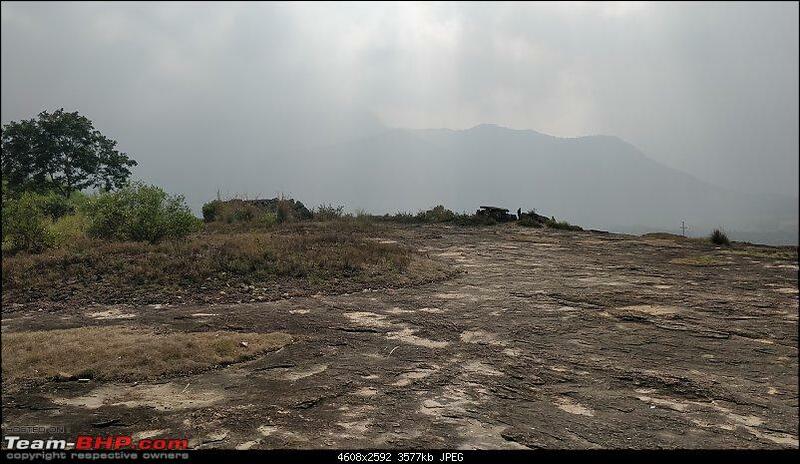 It is also said that the soldiers of Tipu Sultan hid in an around this place. One can also find ancient rock paintings in few places. 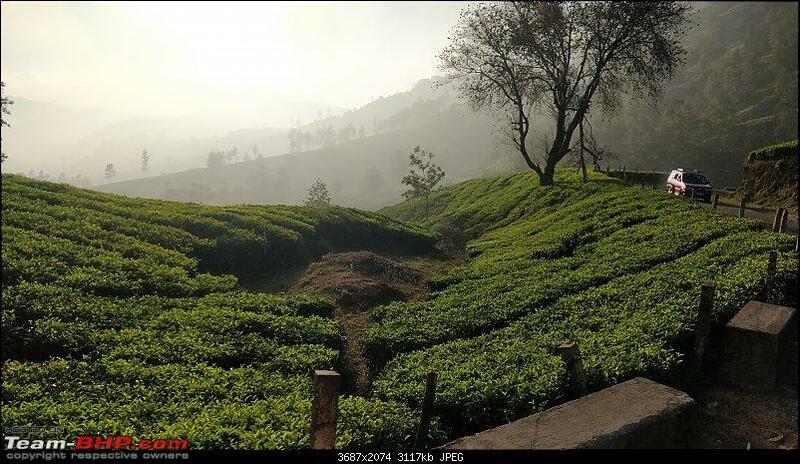 Armed with all this information I decided that Marayoor is the place I would visit and once I reach there will decide what I will do. The bus from Auva KSTRC bus stand leaves at 07:40 hrs and reaches Marayoor at 13:50 hrs. I'll take back the same bus on its return journey and it'll be at Marayoor bus stand at 15:45 hrs which means I have less than 2 hours in and around Marayoor. But for me the journey was more exciting than the destination itself. Morning of Jan 1 I reach Aluva bus stand quite early, by 07:00 hrs itself. Interesting to note was that more than the locals I saw migrant workers at the bus stand at that time. The migrant workers are locally called Bengalis though most of them are not just from Bengal, but also from Orissa and Assam as well. I just passed time hoping that since its the starting point the bus might reach atleast 15-20 mins earlier. But I grew more anxious as the time ticked over 07:30 and there was no sign of the bus. 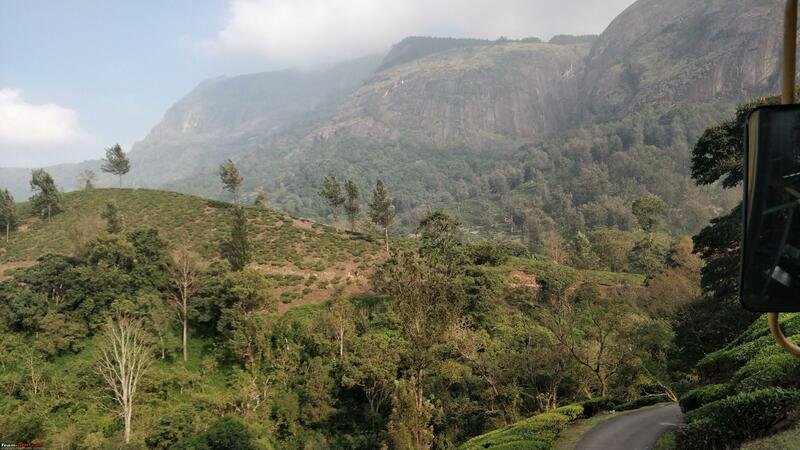 An earlier bus from Ernakulam to Munnar though came and departed on time. I started thinking what if the bus is cancelled, which place should I then plan to visit. As the clock ticked over 07:35 I heard the announcement of the Kanthaloor bus arriving on Pf 3 (thats what I remember not 100% sure). I immediately made a dash to Pf 3 as I really wanted a window seat for this long journey ahead. To my delight there were only a handful of passengers. The bus started right on time from Aluva bus stand towards Perumbavoor and takes the Chunangamvely route. I was surprised as I had come to Aluva from Chunangamvely and was of the opinion that KSTRC buses to Preumbavoor don't take this route. But I learned that day that there were a few exceptions to this rule. So for the return I don't have to go all the way to Aluva and then come back. The ticket to Marayoor was Rs.156 if I recollect correctly. Once the conductor gave tickets to all passengers I saw that the first seat, right beside the driver was empty, and when I inquired with the conductor if I can take a seat there he replied in the positive. I was most delighted!! The bus was on time at each of the bus stands as mentioned in Aanavandi.com website. Halted for 10-15 minutes at Kothamangalam, Adimali, Munnar bus stands. At each of the bus stand the driver would inform when the bus would depart so long distance passengers could be back in the bus by that time. I had some snacks from one of the shops when the bus reached Adimali at 10:20 am. The boys at the shop were 'Bengalis' from Assam. Please excuse the quality as they are taken from mobile from moving bus. 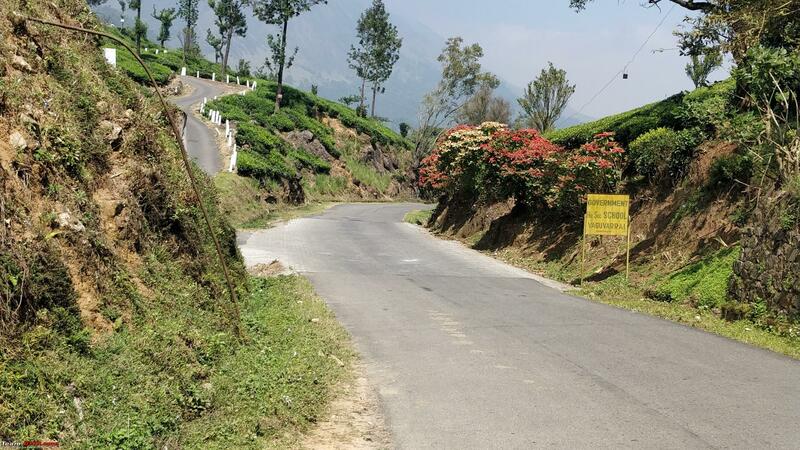 Reached Munnar on time at 11:50 am. The bus stops right on the road as there is no designated bus stand in Munnar so no toilet facility as well, which I sorely missed on the return trip. 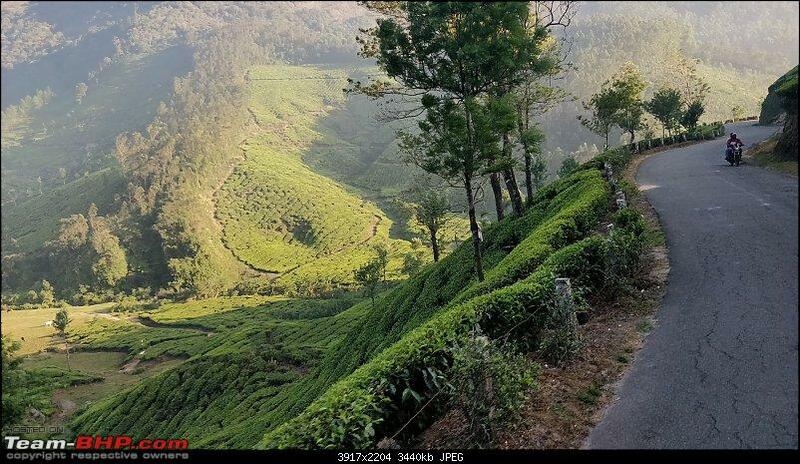 Munnar to Marayoor is 40 kms but it takes almost 1:45 hrs to cover that distance and is the most scenic route of the journey. 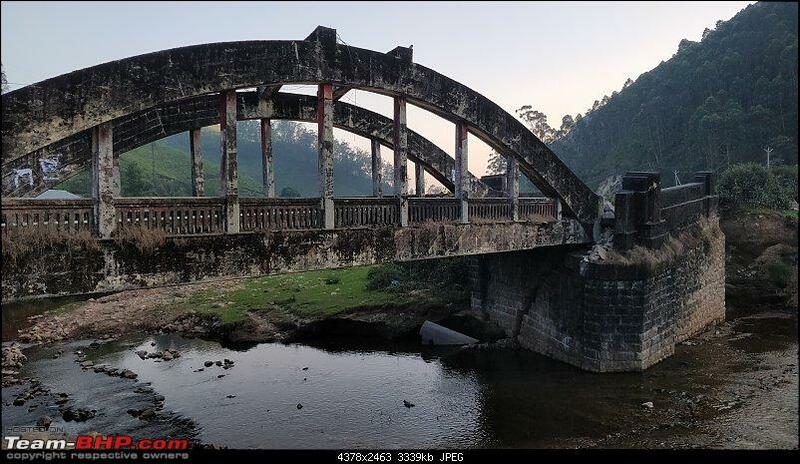 One could see the washed away bridge during the floods enroute and is still in repairs. 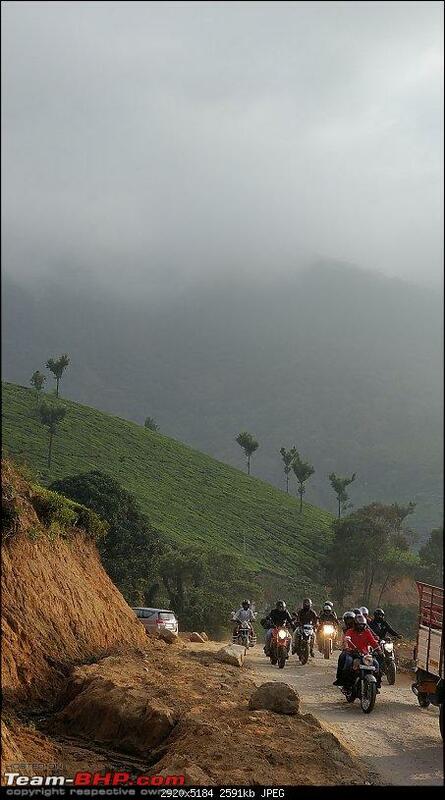 The road conditions post Munnar were average to good but manageable in any vehicle. Reached Marayoor by 13:45 hrs and driver told me that the return bus would start from Marayoor at 16:00 hrs. So if I miss the bus then I would have to make multiple bus changes to get back home that day. Keeping this in mind I first started to check for a decent place to have lunch. After walking around 10-15 mins decided to have lunch at a hotel close to the bus stand. The standard meals cost me Rs.60. The nature I inquired about the nature park thinking that I could see Muniyaras here. 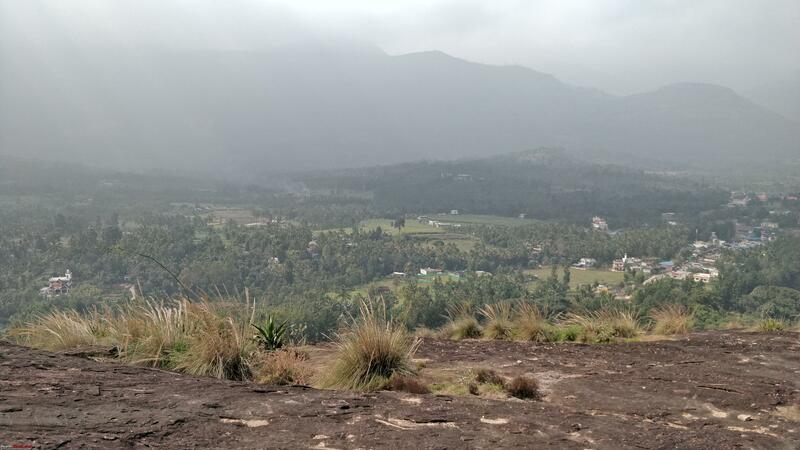 The nature park was just 5-8 mins walk from the bus stand. 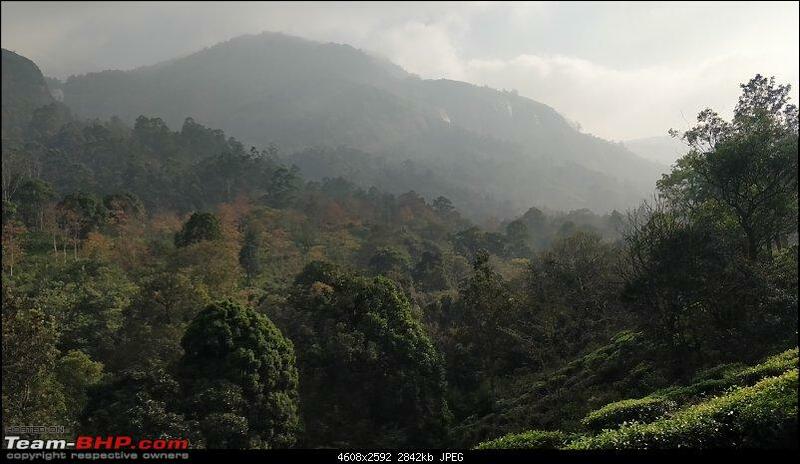 But I was disappointed to know that Muniyaras are not here but around 4-7kms from that place near Kovilkadavu. There was an eco shop there so bought the famous Marayoor jaggery from there. 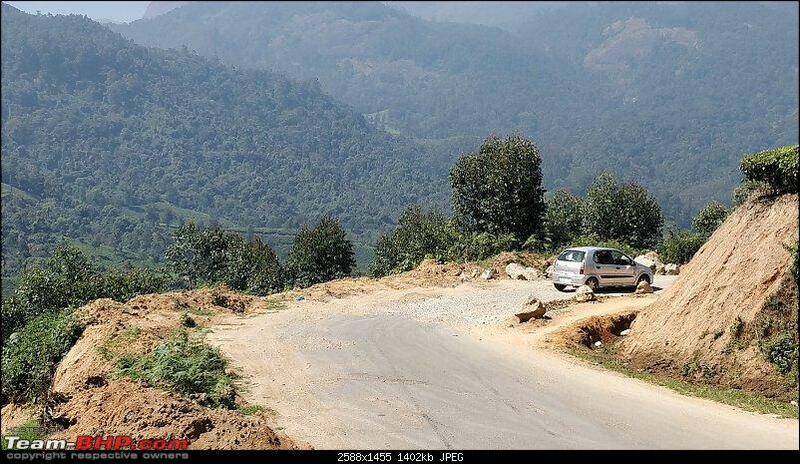 Then I went to the main road and asked an auto guy to take me to the place of Maniyaras. He asked me to take a share auto that would be cheaper, Rs 10 per person. So I took the share rickshaw, now there was some sort of confusion to which I'll come to later. The share rickshaw took me till Kovilkadavu. When I asked him about Muniyaras he told me I will have to take another rickshaw or I can walk 2kms pointing towards a hillock. I decided I'll hire a rickshaw so he arranged for one, and it cost me Rs. 40 one way. The rickshaw guy took me to place called Anakottapara Park (google maps location). On the way I learnt from him that this was the bus route to Kanthaloor. I re-confirmed this at the entry point of Anakottapara where we need to pay a fee of Rs.10 to enter. From the entry point we need to walk around 100m and come across the first few muniyaras. Unfortunately all the muniyaras at this place were in a state of total neglect and people had littered around this place. I was disappointed to see this. Walked around for some time and came back to the entry point which also has an eco shop. Bought some stuff, but no sandalwood items like soap, powder and oil were available as all were sold out. So I thought would buy it from the shop at the Marayoor eco park. 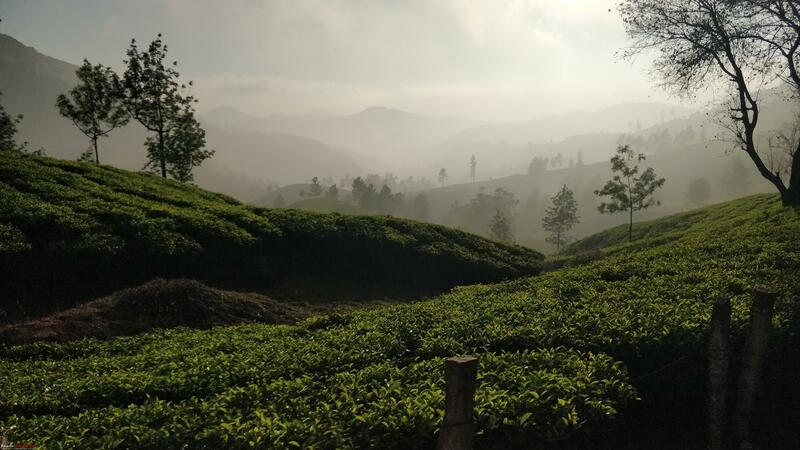 I wanted to see the location of more muniyaras but there was no internet after we left Munnar, so I asked the ladies in the shop if there were any other muniyaras in a better condition than this. They pointed me to another hill and then a yellow building in the distance where there were more muniyaras. The yellow building was the Marayoor Govt. High School. Since it was quite some distance away I decided maybe next time and waited for the return bus. Govt school those ladies mentioned and then I realized that the first auto guy who suggested me to take the share auto wanted me to get down here, but the other guy took me all the way till Kovilkdavu and from there I went to Anakottapara. Later on when I read some blog on the internet it mentioned that there were some muniyaras near that school. But again all are in neglected state which is a dampner since these are things that needs to be preserved well. The bus reached Marayoor bus stand by 15:40 hrs and the driver told that we would leave by 16:00 hrs. So I dashed to the eco store to buy some sandalwood products. That is when I came to know that all sandalwood products were out of stock and the fresh stock are sent to lab for testing and will be available only by Jan 15. Grim Reminder of Aug 2018 floods. 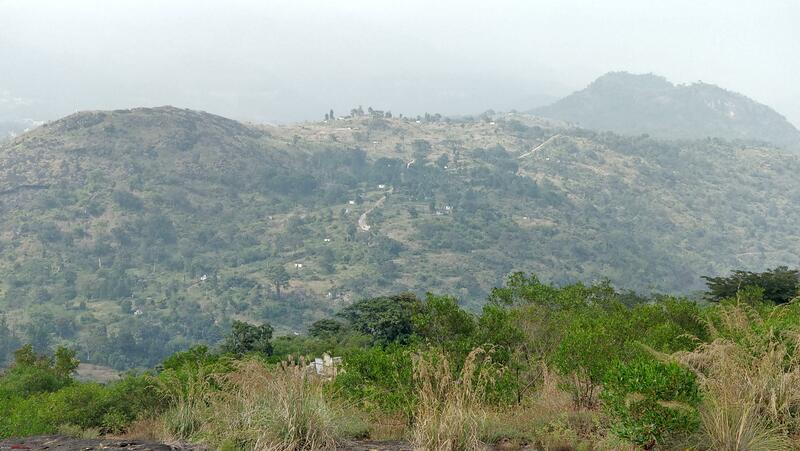 Marayoor wasn't affected apart from Electricity supply cut. They got goods from Udumalpet. On the return journey we were held up at the narrow Neriamanagalam bridge for 10-15 mins as there was a traffic jam at the other end. 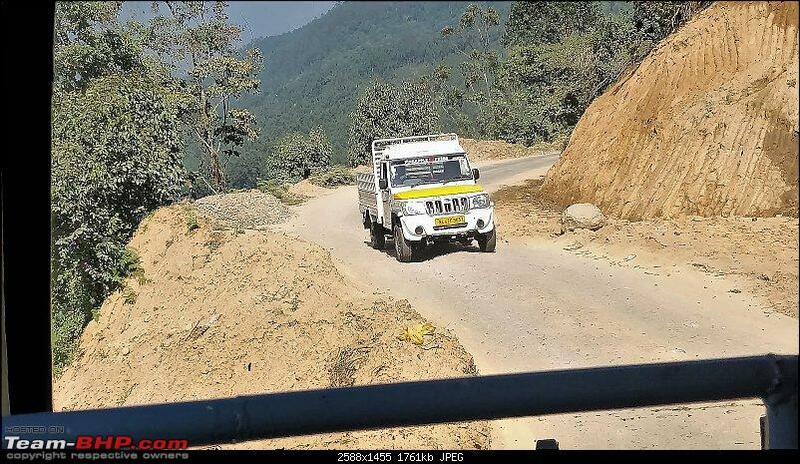 So all vehicles from the other end was allowed to pass first before leaving us. The first picture of the post is of that bridge during the onward journey. This bridge seriously needs widening. As there was some traffic post Neriamanagalam, the driver didn't halt at any of the bus stands other than for the time taken for passengers to alight and board. The bus reached each of the stops just in time. I reached Chunangamvely by 21:45 hrs. One thing that impressed me very much was the skill level of the driver. The way he negotiated the ghats and kept his cool when other private vehicles drove like crazy were really impressive. 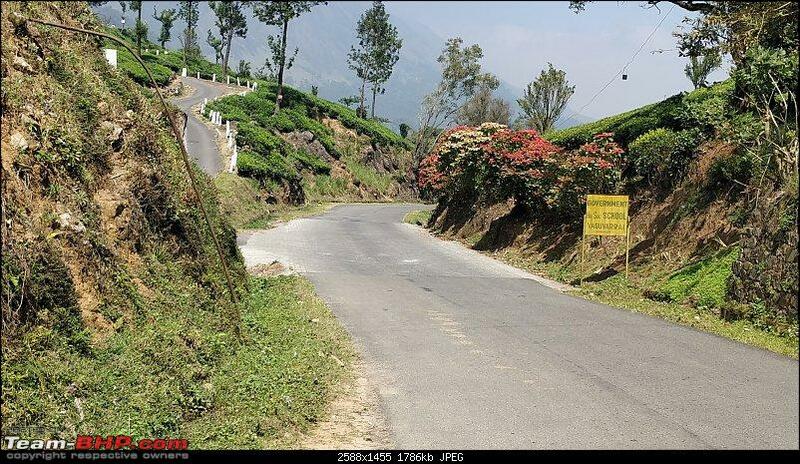 He had driven the Thrissur-Sulthan Bathery-Mysore route and also the Thrissur-Banagalore routes before. 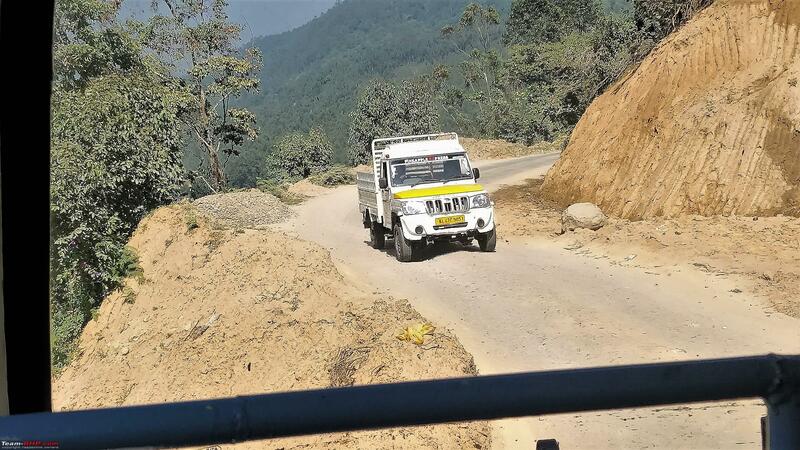 The drivers get assigned one route for 9 months and if they want they can continue on the same route unless some senior than them request for that route. I hope to do more such journeys in the future and would like to thank BHPian TKMCE's travelogues on public transport that inspired me to do this type of a trip. Else normally I would drive my car down/up to the destination. But that would not let me experience the local life as we do in a public transport. Also hats off to KSTRC for training such good drivers and having these routes which enable us city dwellers to reach such distant places without having to take out our cars!! Last edited by Lij : 7th February 2019 at 16:20. One thing that impressed me very much was the skill level of the driver. The way he negotiated the ghats and kept his cool when other private vehicles drove like crazy were really impressive. I have always been a front seater in State transport buses, and trust me, have learnt a lot of driving by just observing them drive. Their skill and patience levels are amazing. At school, I used to board jam packed buses but would make my way to the driver area and sit on the bonnet. Those days, the Tata buses used to sport high bonnets while Leylands had short bonnets. 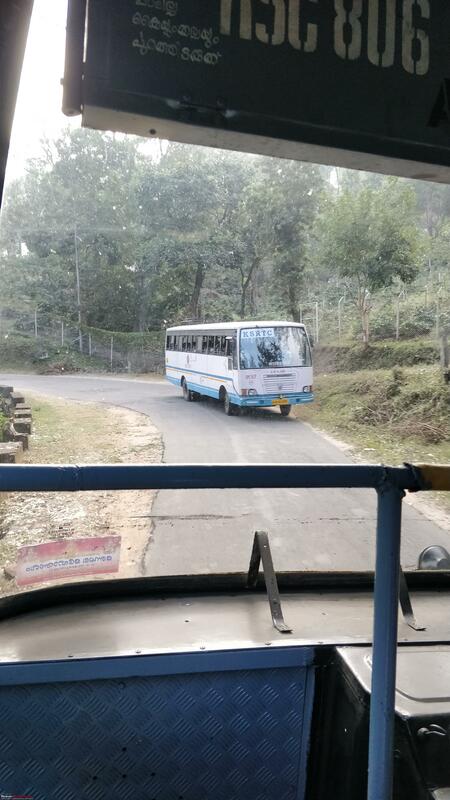 KeSRTC - I always enjoy riding in them since the drivers are very high on josh; their skills are of a different level as most roads in Kerala are winding and they need to make quick overtaking maneuvers. normally I would drive my car down/up to the destination. But that would not let me experience the local life as we do in a public transport. That sums up superbly. Traveling the hills in public transport has a charm. Chatting with locals, bus driver, shop keepers, plantation workers brings so much feel about their livelihood, cannot be described in words. They may have very little but their generosity is priceless. Your write up is engaging and has a nice style, clearly setting the objective and then describing the journey. It is actually interesting to see our ancestors had a practice of burials, more specifically on top of hills. 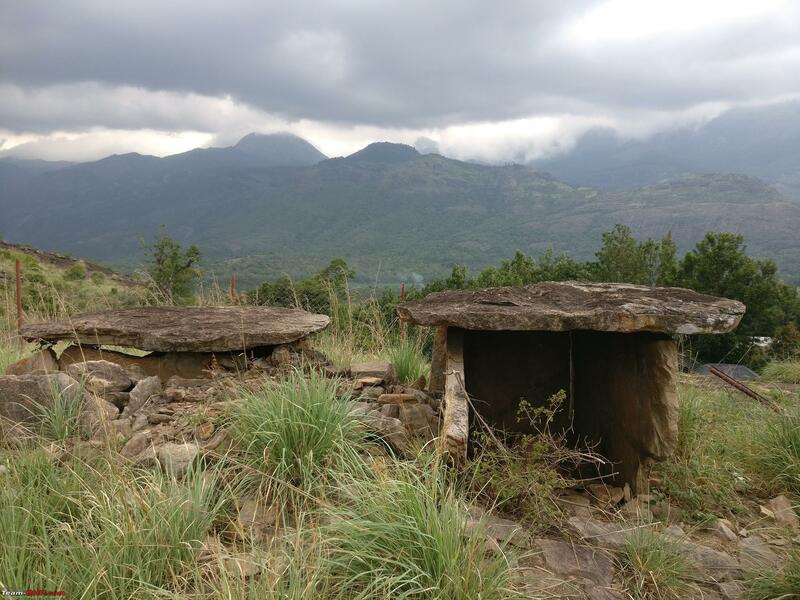 Muniyara from your pic reminds me of similar Dolmens found on the hills south of Bangalore towards Krishnagiri (google it as Mallasandram Dolmens). 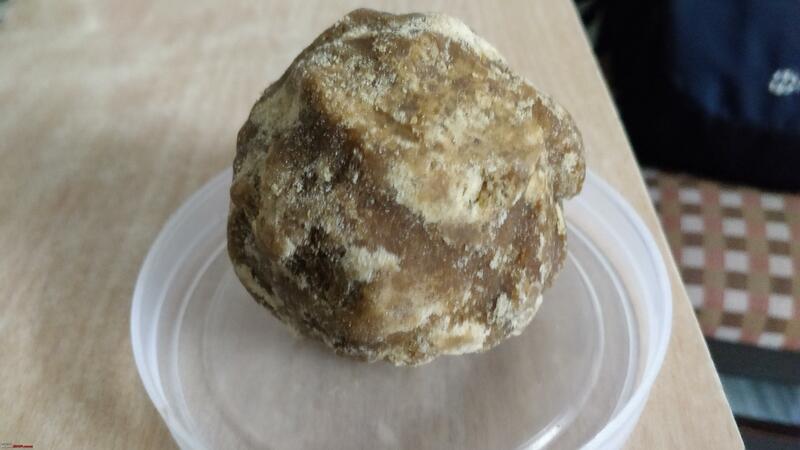 Thanks for sharing a sweet little journey and do share if you have a picture of Marayoor Jaggery. Keep traveling. Last edited by Thermodynamics : 8th February 2019 at 15:10. Excellent write up and good pictures. 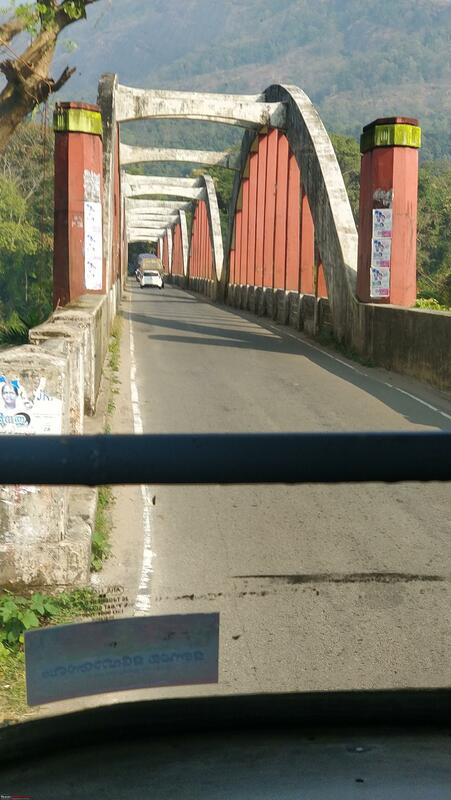 Have wanted to do the Marayoor Udumalpet route for a long time (in KSRTC ofcourse!) but never managed till now. 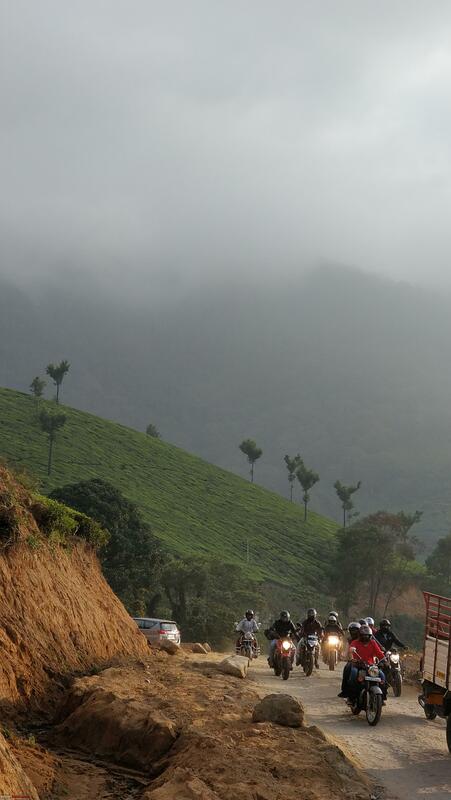 Had done the Chalakudi-Valparai trip an year back. If you are taking that one on public transport, do keep in mind (I am sure you know this) that the bus which does the 6.30 AM trip is a private one and leaves from the private bus stand at Chalakudy and will not come to the KSRTC stand. 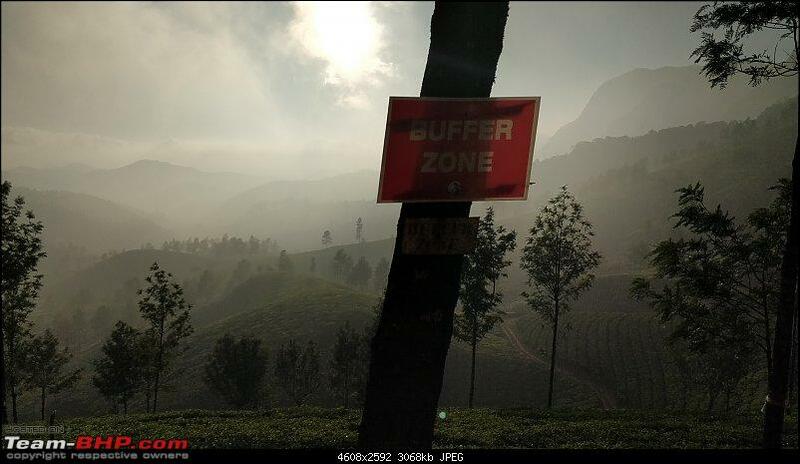 I find these trips through the high ranges a real stress breaker. 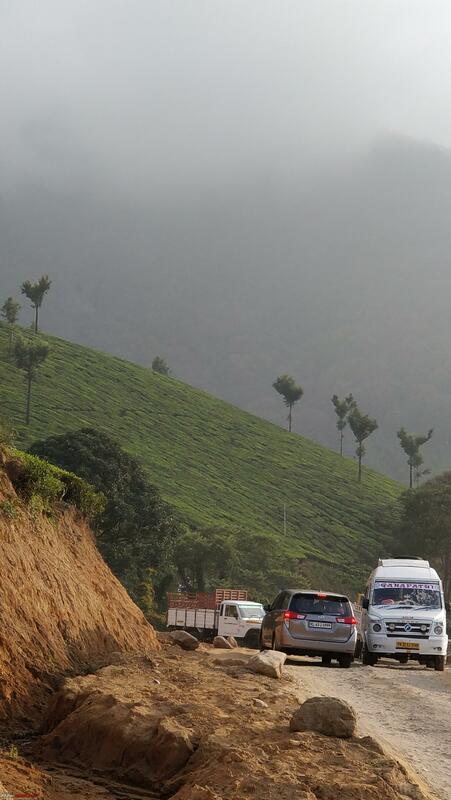 My favourite is the Kottayam-Kattapana buses which goes via Eeratupetta, Vagamon and Elappara. 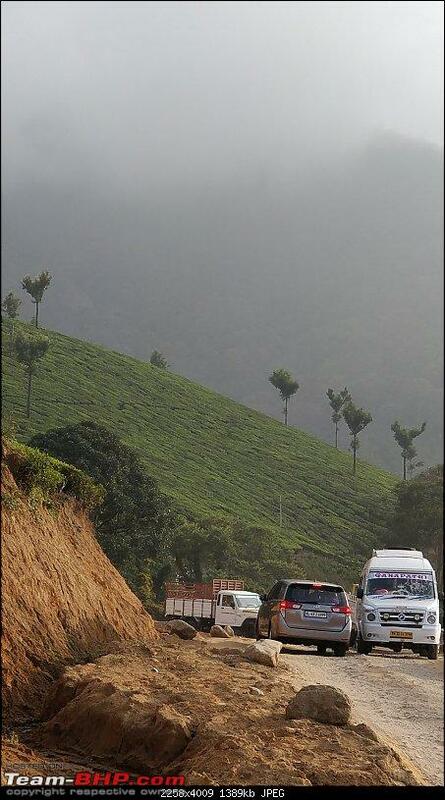 The journey through the Vagamon hills is fantastic. Looking forward to more such travelogues. 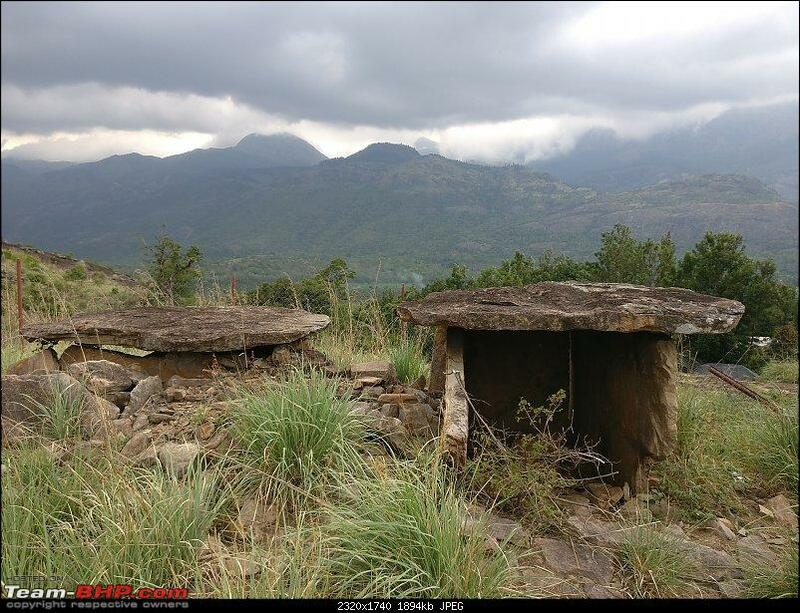 Yes, the Mallasandram dolmens look very similar to the ones I saw at Marayoor!! 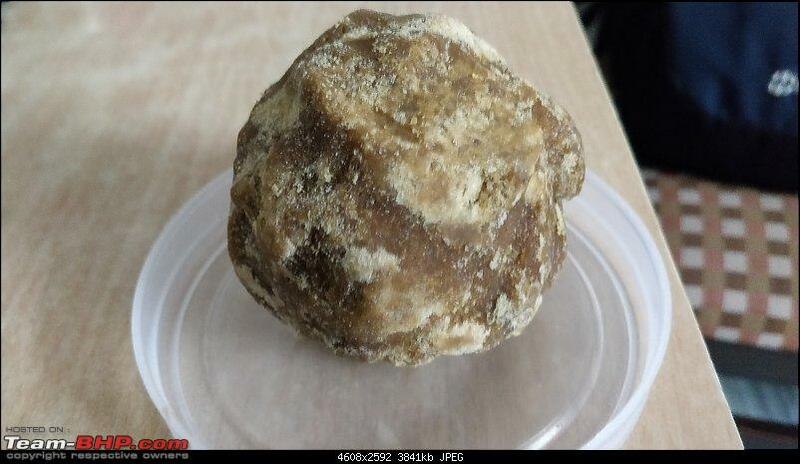 Below is a picture of the Marayoor jaggery I bought from there, a packet contains 3 such spheres weighing total a kilo. 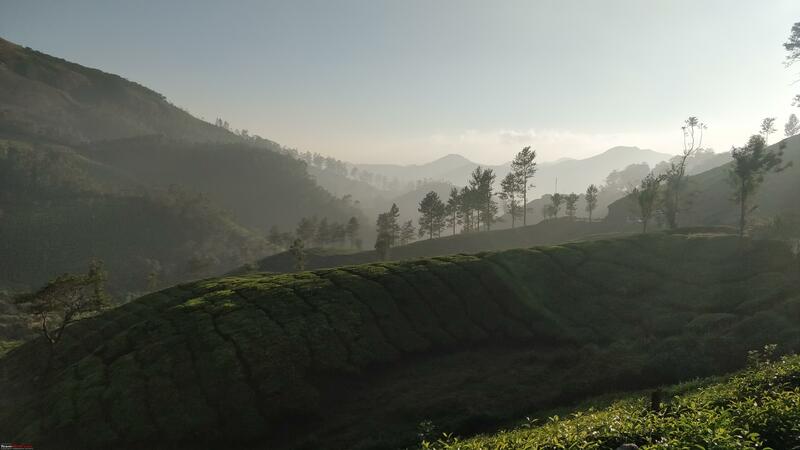 Last edited by aah78 : 21st February 2019 at 00:56. Reason: Image inserted in-line. 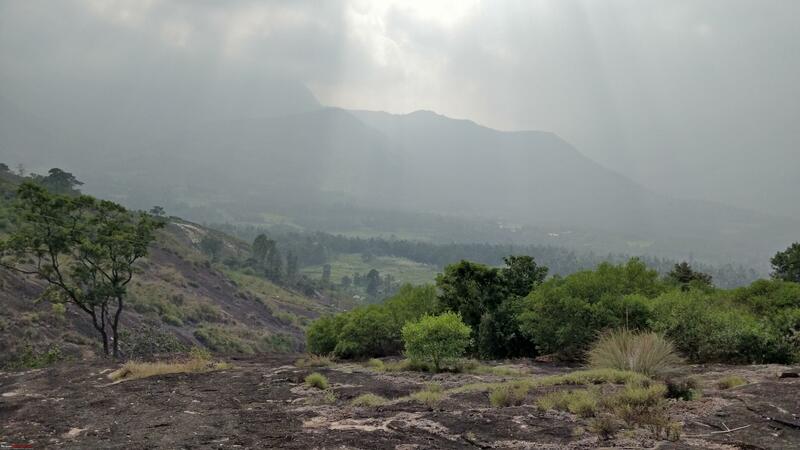 Here is a photo of Dolmian Caves taken in May 2017 at Marayoor. 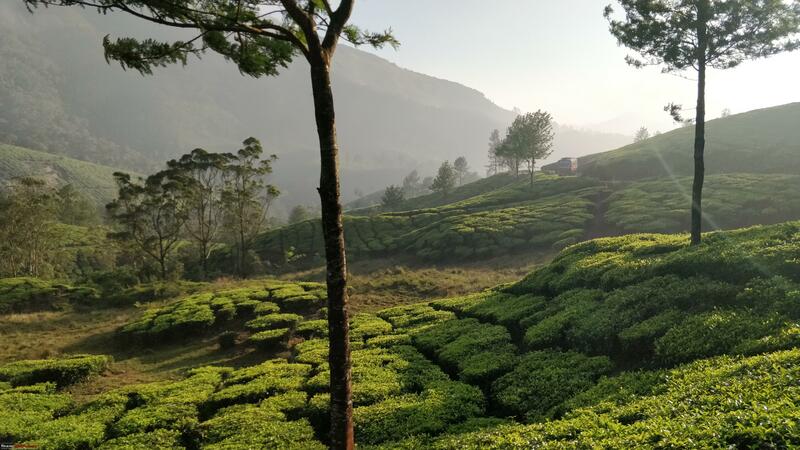 Kanthaloor is said to be the only place in Kerala with apple farms. Immediately after Marayoor on Munnar - Uduamalpet route, you enter into Chinnar Wildlife Sanctuary which sits in both Kerala & Tamilnadu. A bus ride into the Sanctuary can be worthy. 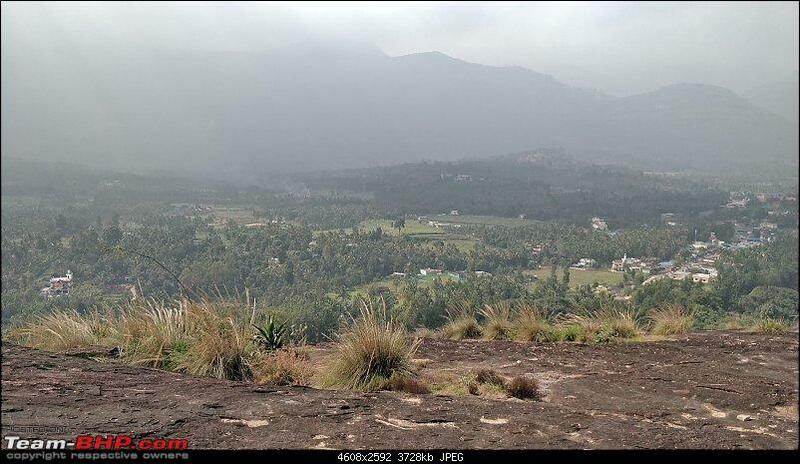 Beyond the Sanctuary, Udumalpet is just 30 mins away. 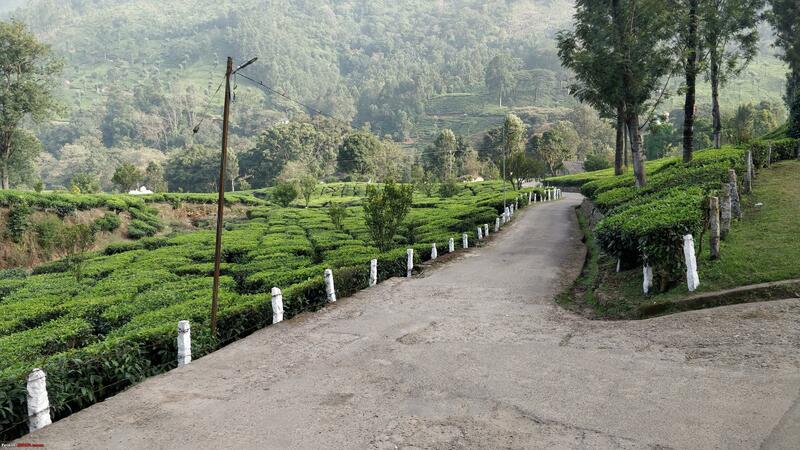 Earlier they don't allow vehicles at night, but now-a-days it has sizable traffic, as this is the main route to reach Munnar from Coimbatore, Bangalore & Chennai. Travelling within Kerala, if I am not driving - i'd rather be on the front seats of KeSRTC buses plying around - now they should be the quickest among the high ranges. 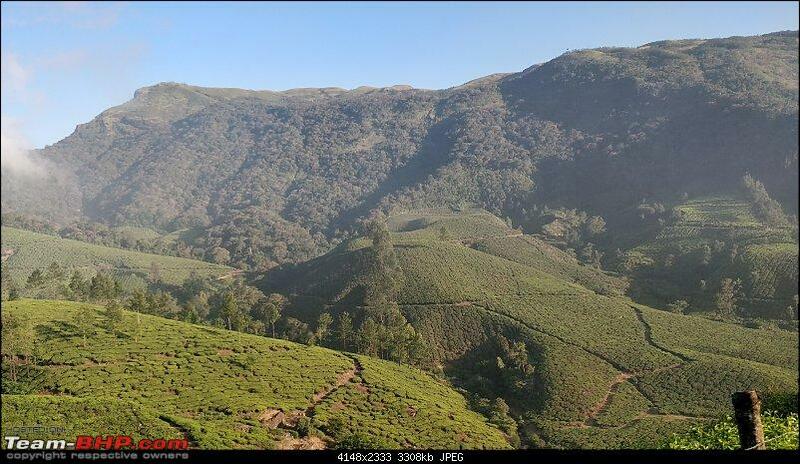 Good to know things are getting back around Munnar Marayoor area as well. 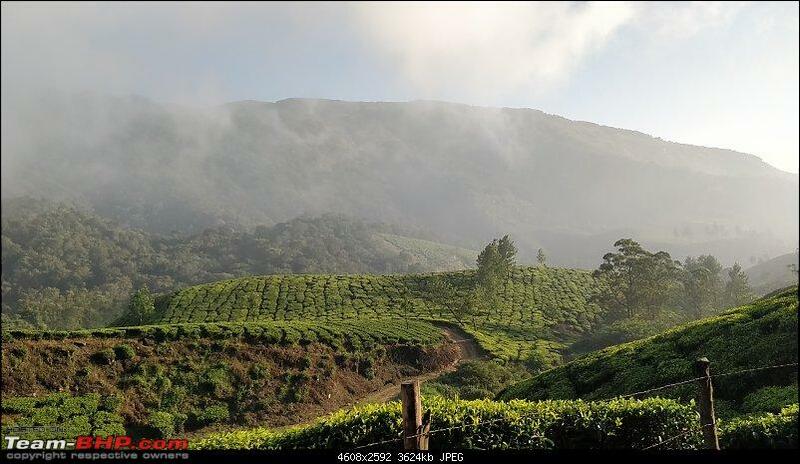 I prefer marayoor to munnar to its calmer climate in comparison to Munnar. As well as the reduced traffic and rush. 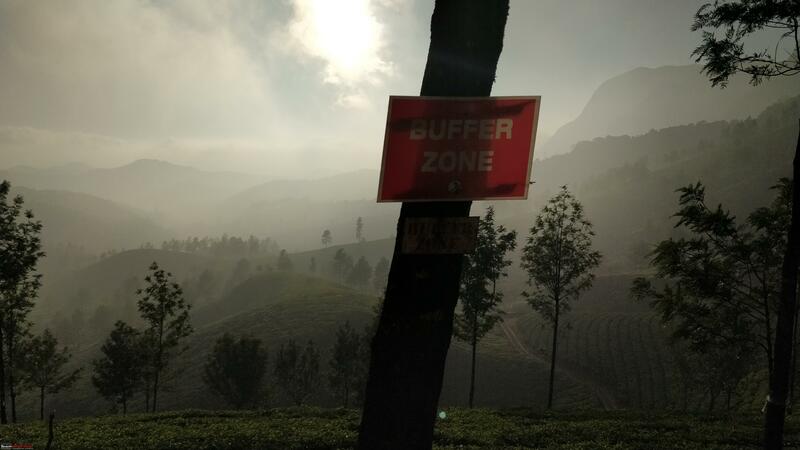 I'd suggest not to miss Kanthalloor since you got that far to Marayoor. 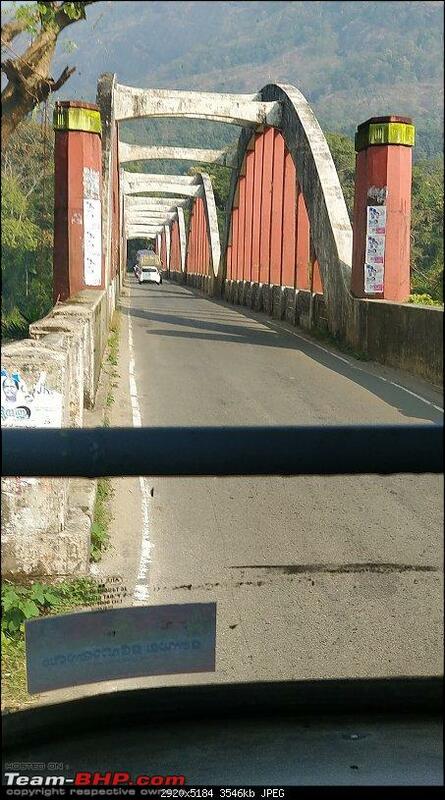 A KSRTC bus trip is one of its kind. 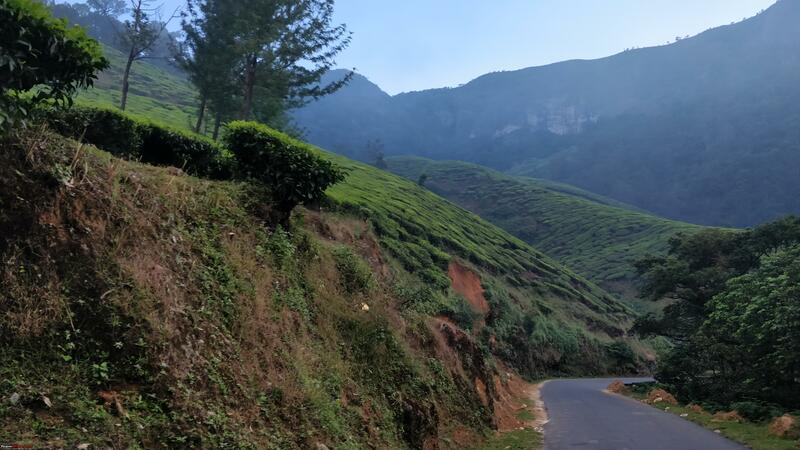 Aluva-Munnar-Marayoor-Udumalpet, Chalakudy-Athirampally- Malakkappara, Pathanathitta-Gavi-Kumily, Pattambi-Vazhikadavu-Gudalur are some of the best routes. 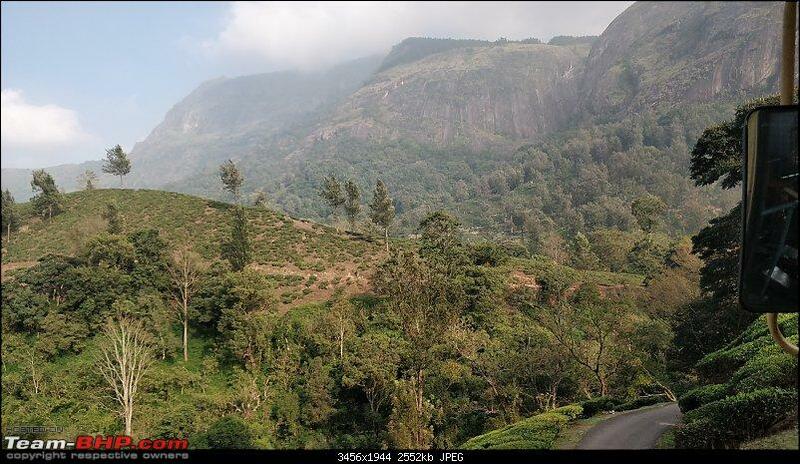 We did a one week long trip in KSRTC and private buses going through all the routes in Munnar during 2011 monsoon. I was always fascinated about the bell that conductor uses to signal the driver. KSRTC boats use a similar system of bell to indicate the whole driving procedure- gear shifts, speed etc. Lovely. Thanks for sharing. I would make the trip if only for the Marayoor jaggery - have read about it; have heard about it; the taste still eludes me! Will get to it soon enough. Oh man! 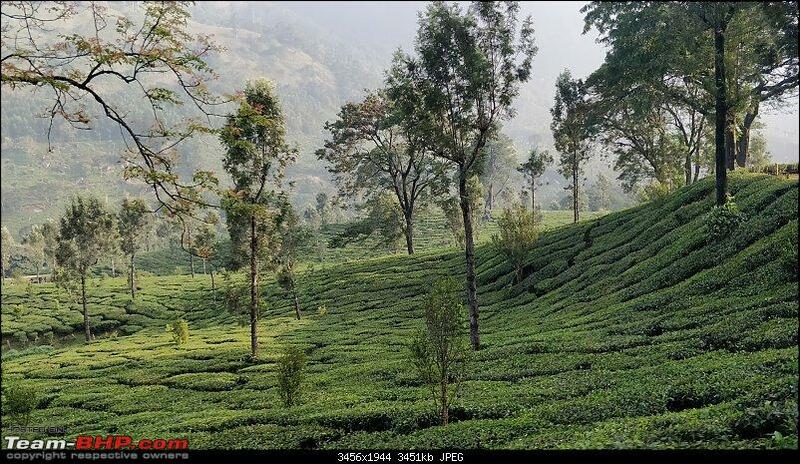 You just made me nostalgic - had a similar impromptu trip to Vagamon from Kottayam in a KeSRTC. My parents & I were going to a relatives home and I got down midway owing to a clash. I took a bus from Ettumanoor & reached Kottayam stand thinking of what to do with 7-8 hours in hand. 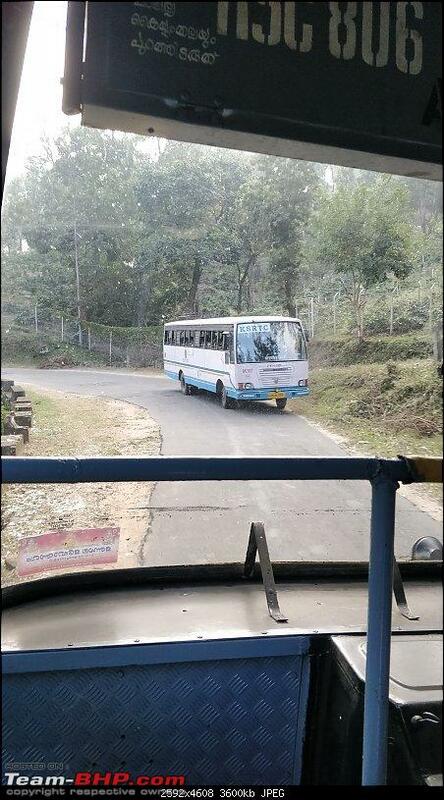 Was thinking of morning show but saw a Vagamon bus parked and just boarded it. 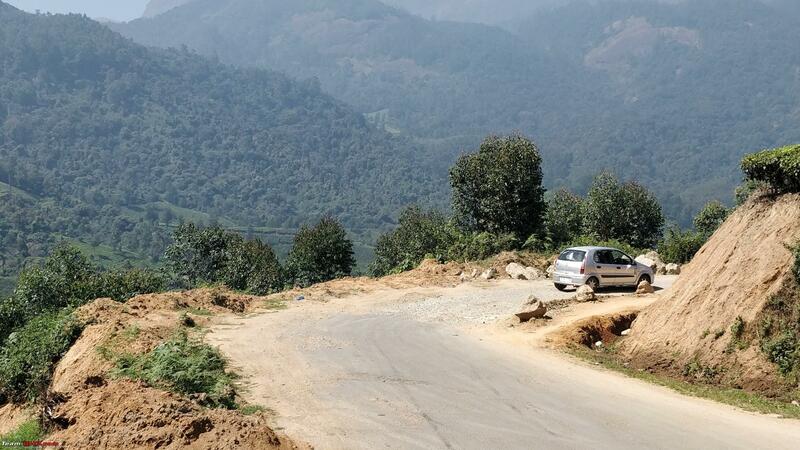 Managed the navigator seat next to the driver and it was an impeccable trip through the winding roads. The driver was a senior guy and even offered me a ginger candy that he bought in a bus stand - was very sweet of him. 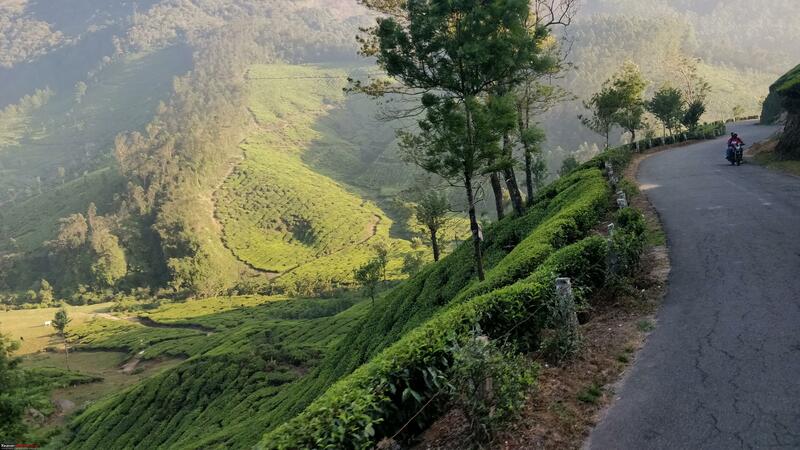 Went to Vagamon, had a biriyani & boarded the same bus back which passed just 4 kms away from my home and reached home 7PM after a 10 hour trip. I think people like us have fond memories and appreciate what KeSRTC is (as much as the employees) but sad to see the corporation ill treated by the so called 'union'. 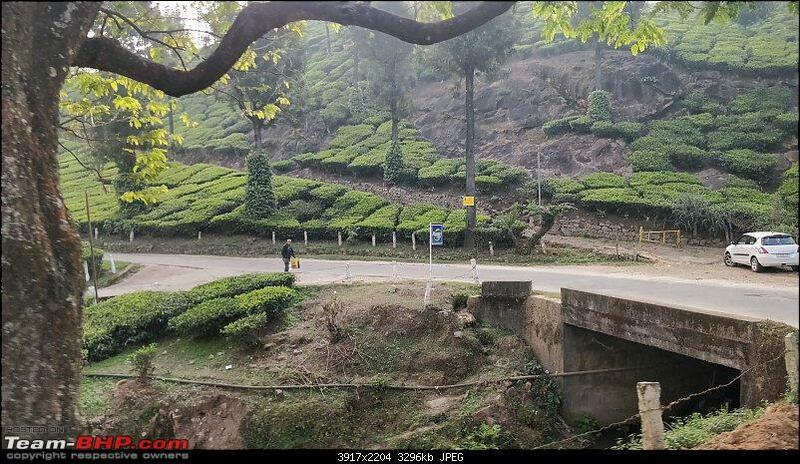 PS:: As much coincidence as it is, near Vagamon, I also caught a glance of the shooting of Malayalam movie 'Ordinary' where the KeSRTC to Gavi is featured. When our bus reached a place, we saw a crowded bus stopped in the side and a couple of jeeps stopped behind with people guiding the traffic. Our driver refused to go past stating there was no space and the other bus moved further to make space. While over taking the bus, I noticed the driver wearing an aviator sun glass and some one from the seat behind him spray something near his face. Thought its strange to see a driver sporting one in the high ranges without much sun. And even the guy looked so familiar. It was just in the next 10 seconds I realised it was Biju Menon , the actor and he infact had driven the bus to make way for us, starting from a small incline (mind you that was a crowded bus too). Wasnt convinced it was him, so came back and a quick check in the internet gave details of the movie to re-confirm I indeed saw the right guy in the driver's seat. Last edited by swiftnfurious : 12th February 2019 at 01:34. 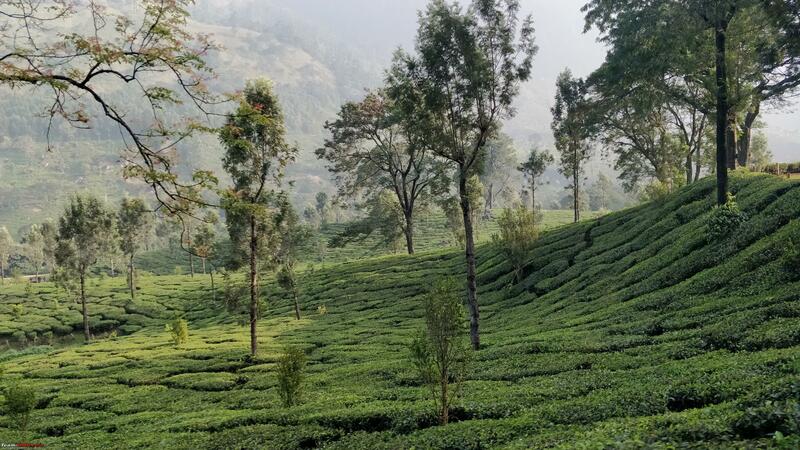 I'd suggest not to miss Kanthalloor since you got that far to Marayoor. Thanks viggienomad and peterjim13 for the suggestions. 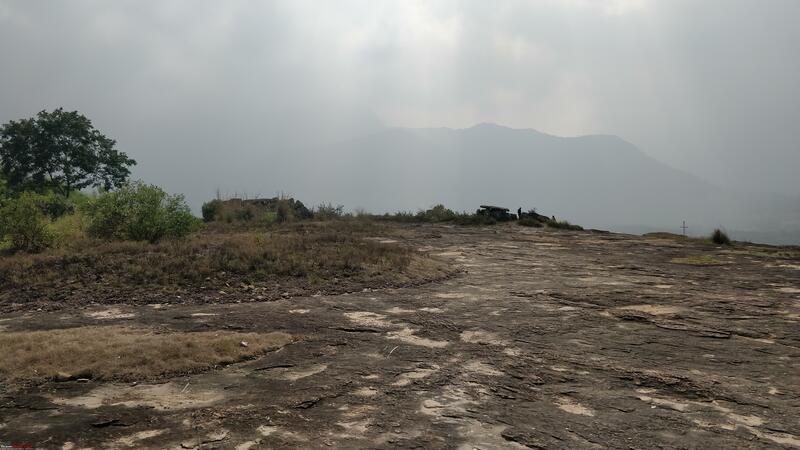 Since I had just a day had to do a trade-off, so decided Marayoor to be the place for the trip. 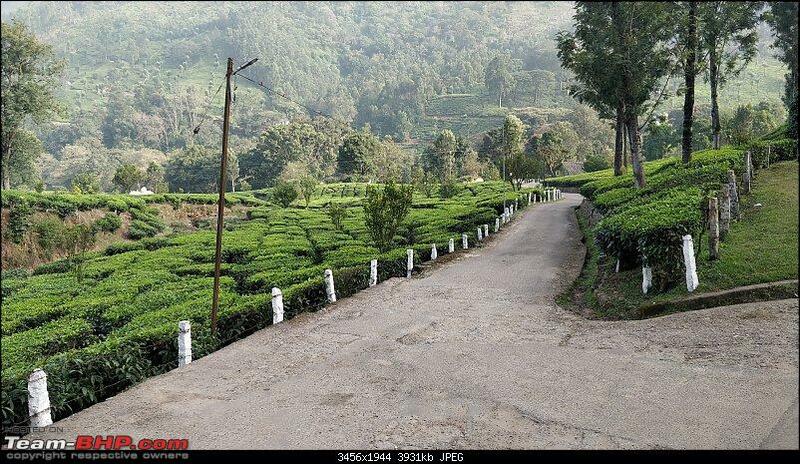 Kanthaloor and the route to Udumalpet is on my future list. Thanks Romins for the routes suggested, will definitely keep a note of them for future trips. 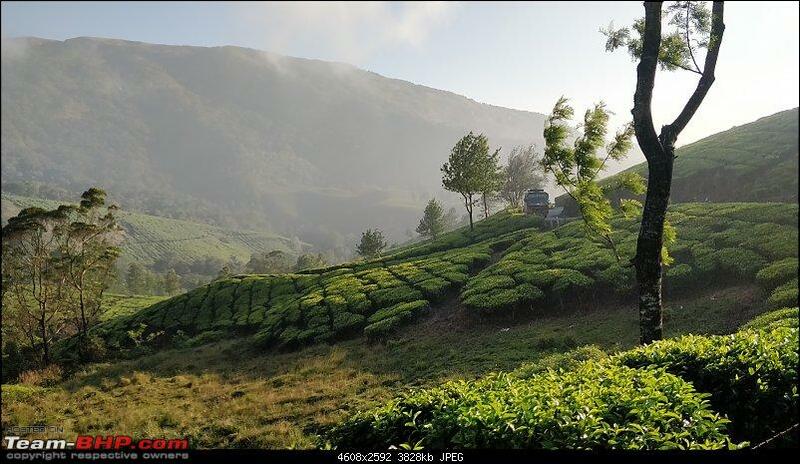 You travel blog has loads of information, that'll be very helpful for a multi-day trip to Munnar region. Oh man! 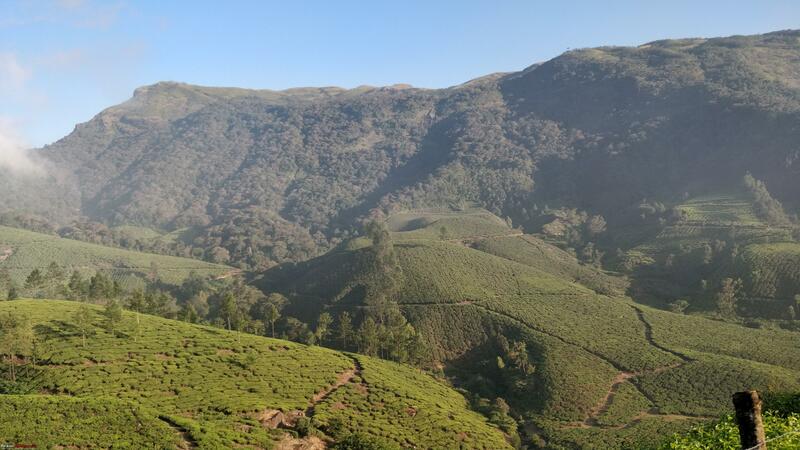 You just made me nostalgic - had a similar impromptu trip to Vagamon from Kottayam in a KeSRTC. 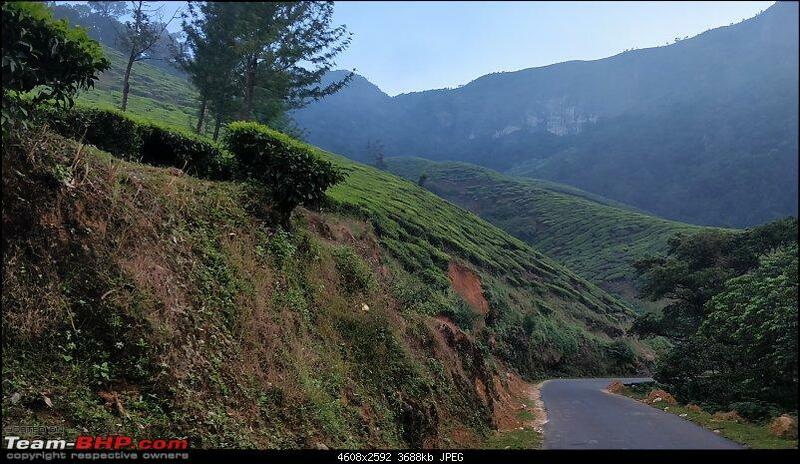 Thanks swiftnfurious, had driven to Vagamon sometime in May 2015, but yes a trip on KeSTRC is a different experience altogether. Nice and detailed narrative with beautiful pictures to go with it, thanks for sharing ! Nice and detailed travelogue with beautiful pictures as well. 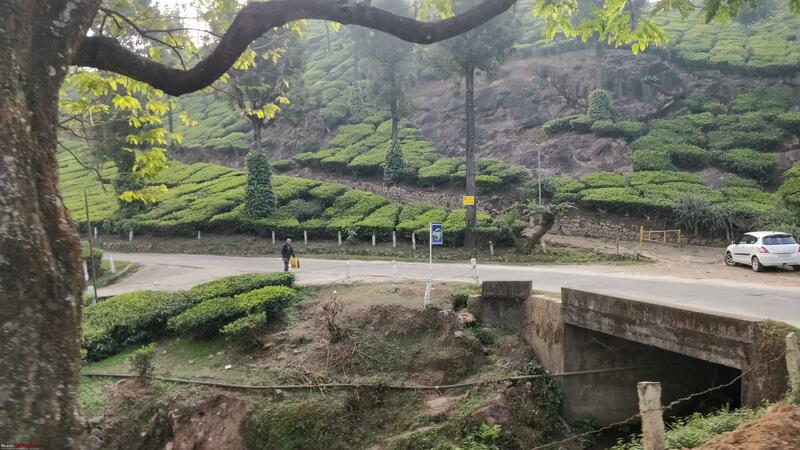 I drove through Marayur earlier this year. 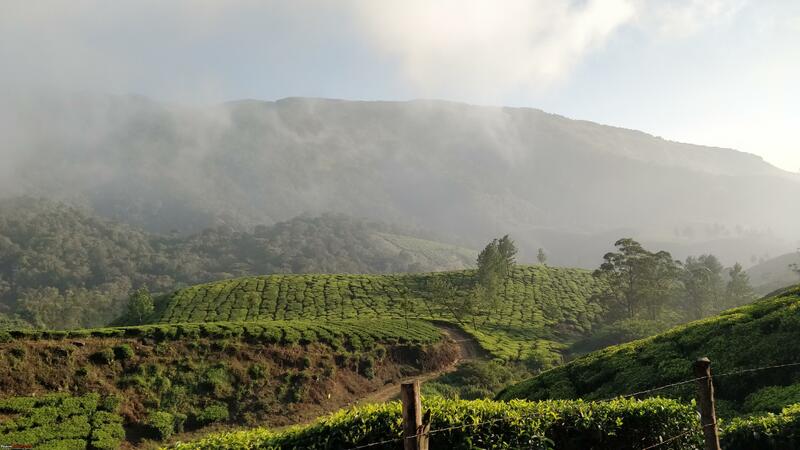 Mesmerising place I must say covered by Mountains on all sides and the way tea estates give way to the sandalwood forests. We saw a lot of boards regarding Marayur Jaggery. But did not know it was special.